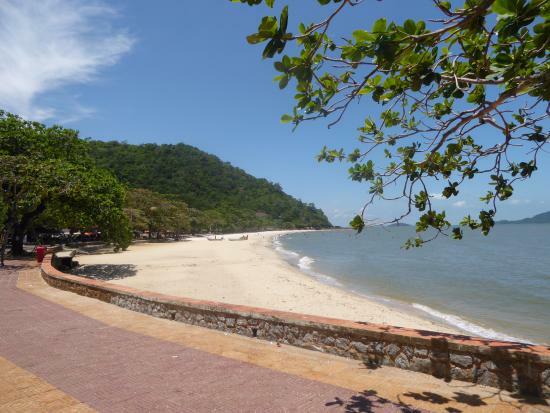 Kep was Cambodia's top seaside destination until eclipsed in the 1960s by Sihanoukville (and, soon after, decades of civil war). The town is full of ruined shells of old villas, destroyed in the Khmer Rouge days and during the subsequent Civil War and stripped down by the leaving Vietnamese army. 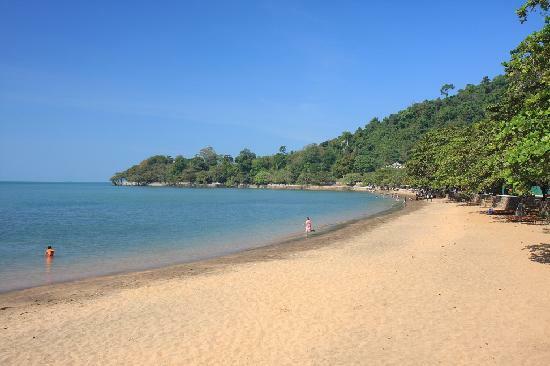 Kep beach is a small but pleasant crescent of sand near the tip of the Kep peninsula. Dining platforms and seafood vendors line the road behind the beach. Busy on weekends but often deserted during the week. The road through Kep traces the coastline to the beach and then circles back on itself. Cars and vans must pay admission to drive the loop (2500R-5000R). Motorcycles and pedestrians are free. Be aware that the loop is a one way street and the police do occasionally enforce the law, levying fines against violators.